I'm totally obsessed with blink 182 at the moment, and I looove this song! I'm going to see them at the hurricane festival next week, and then at a concert in berlin the week after that, eeek! will be sooo amazing! 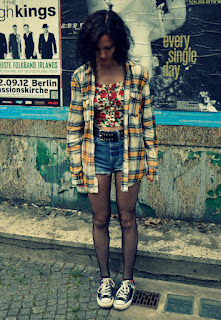 the photos were also taken in berlin, when I was there to see a gerhard richter exhibition with my mum. the exhibition was really cool, amazing paintings! I love the flannel and floral..I think I'll try that! Great blog, dear. Absolutely AMAZING! Love the floral top with the cropped shorts & flannel over it! perfect! Amazing combination! 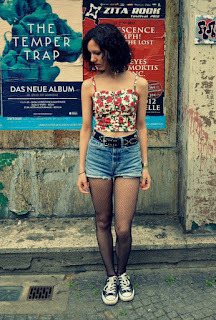 :) cut-off shorts are the best thing for the summer! thank you! would you like to follow each other? I used to be a huge fan of blink 182 in junior high, which was like 13 years ago! I still like them though.. I've seen them perform a couple of times in San Diego, California... they rock..
cool outfit by the way! You have such an amazing style ! I love your look ! 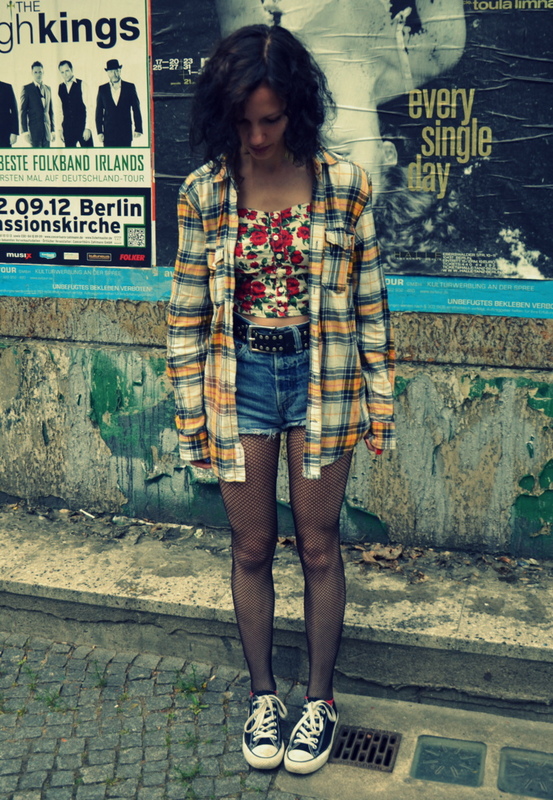 so wonderfully grunge, I love it!! 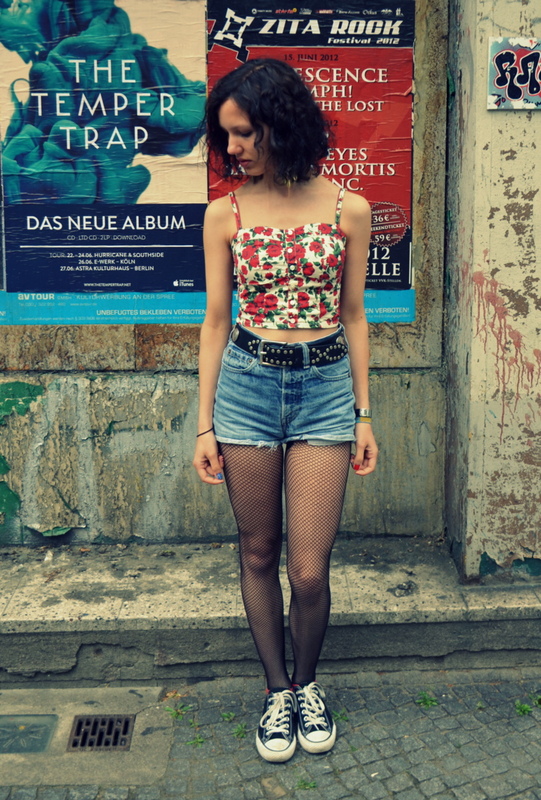 Ah, that floral crop top is awesome! Great look! Great crop top! I used to listen to Blink 182! Still like them. I love your floral crop top! I want one of these sooo bad right now!